A couple of weekends ago, we made a weekend Gulf Coast run. The extended red snapper season called my name. I really wanted to head south. Turns out, I love to fish! 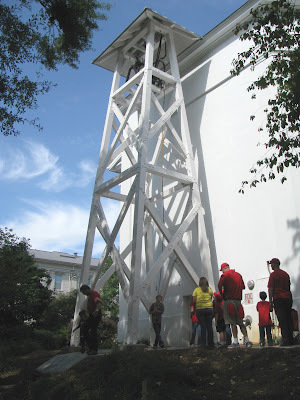 The family loaded up the vehicle and headed south to Bay City Lodge in Apalachicola, Florida. 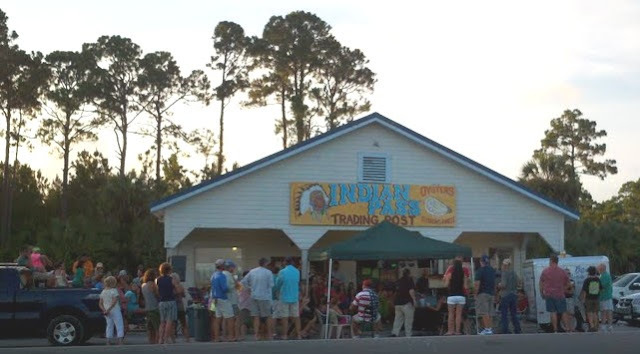 Arriving late Friday evening, we opted not to fish and headed instead to Indian Pass Raw Bar. What a great decision! The raw oysters tasted slightly salty and delicious. While Ben and I ate oysters at the bar, the kids ate and watched the show outside. Early Saturday morning we headed out Apalachicola Bay, through the Government Cut (between St. George Island and Little St. George Island), and offshore about 10 miles. Ben located the lucky reef, and we started fishing. We caught red snapper, grouper, King Mackerel, and cobia, aka the craziest fish in the ocean. When Benjamin reeled his cobia upside the boat, Ben got excited. He claimed he had been carrying his cobia hickory stick so long, he thought it might rot before he got to use it! The other night, we enjoyed grilled cobia. Yum! Seasoned only with olive oil and Old Bay seasoning, Ben grilled it to perfection. With a side of Late Summer Vegetables, the dish was decidedly worth sharing! In a large, heavy skillet, saute onion in bacon drippings over medium heat about 5 minutes. Add okra and cook, stirring 5-10 minutes. Add bell pepper, tomatoes, and rosemary. Season with salt and pepper. Cook for 15 minutes, adding water if necessary. Serve hot; delicious with grilled cobia! I enjoy working in our garden, picking the vegetables every evening and hoeing between the rows on a weekly basis. As the garden ages and the summer progresses, different vegetables come into their peak. Since it is later in the summer, right now tomatoes bountifully fill my basket in the evenings. Once inside my kitchen, tomatoes cover the counters; their luscious red color begging to be eaten and enjoyed. Even with all the tomato eating and sharing, tomatoes still linger on the counter. Preserving them to be used at a later time seems smart. The Pikc Your Own website claims that canning tomatoes is an experience that your family will always remember doing together. Since I am all about our family having such memorable experiences, I decided that canning our garden-grown tomatoes would be a great way to spend my afternoon off from work with the kids. With them busy helping me in the kitchen, they would surely not be bored or want to sit in front of the television watching one of our only five channels (yes, only five – we do not have cable, dish, or any other subsidizing form of television viewing.). Benjamin filled the largest pot we own with water and began boiling it to sterilize the canning jars. (The large pot was given to Ben and me as a wedding gift from Amie and Shaun Harris. Although we cooked lobsters in it a couple of times over the years, it serves more often as the official canning pot.) Georgia-Lee and I worked to get two more pots of water boiling – one to sterilize lids and rims and the other in which to dip the tomatoes to help remove the skins. In addition to the tomatoes and a few other garden vegetables stealing counter space, we added a huge bowl of ice cold water to place the tomatoes after their dip in the hot water, a bowl for tomatoes ready to be peeled, another for peeled tomatoes, and a final container for all of the peelings and cores so composting later. Lots of hot boiling water on the stove, very little counter space, and two kids, aged 12 and under, in the kitchen – whew! At least it gave us something to do together in the heat of the afternoon! Temperatures as of late have been reaching upper 90s and even into the low 100s! With all of the turmoil in the kitchen, we failed to recognize the thunderstorm that had been brewing outside. In no time at all, hail and rain pelted from the sky as thunder clapped and lightning sparked all around our house. The electricity flickered on and off several times and finally decided to stay off just as we began packing tomatoes into the jars. The kids filled the remaining empty counter space with a couple of wax candles and small battery operated votives my mother recently gave us. The kitchen looked like a small Catholic shrine! With tension running a little high, Benjamin stepped outside onto the front porch to call our dog Max. Max HATES storms; he cowers at the first clap of thunder. The kids worried about him. In spite of them calling Max (and me yelling for them to get inside before they were struck by lighting), Max did not return home. Benjamin called me from the kitchen to the front porch, saying he thought something might be burning across the street at our neighbors’ house. Their driveway dips downward, preventing a full view of their house from our porch; however, sure enough, something was burning at their place. With the lightning popping all around us, we feared it struck something in their yard and started the blaze. Earlier in the kitchen I recalled saying to the kids, “I bet something got hit by lightning; look out the window to see if it hit one of our trees.” Although I said it, I did not know at the time that the words would ring true. After a series of panicked phone calls to 911, the couple who lives across the street (who happened to be out of town), and to Ben, we raced over to the home to find the worst possible scenario. Blazes leapt from the windows, licking up the home faster than we could imagine. As the rain soaked our tomato covered clothing, the beautiful home burned. Volunteer firemen arrived quickly, suiting up and uncoiling hoses in quick fashion. 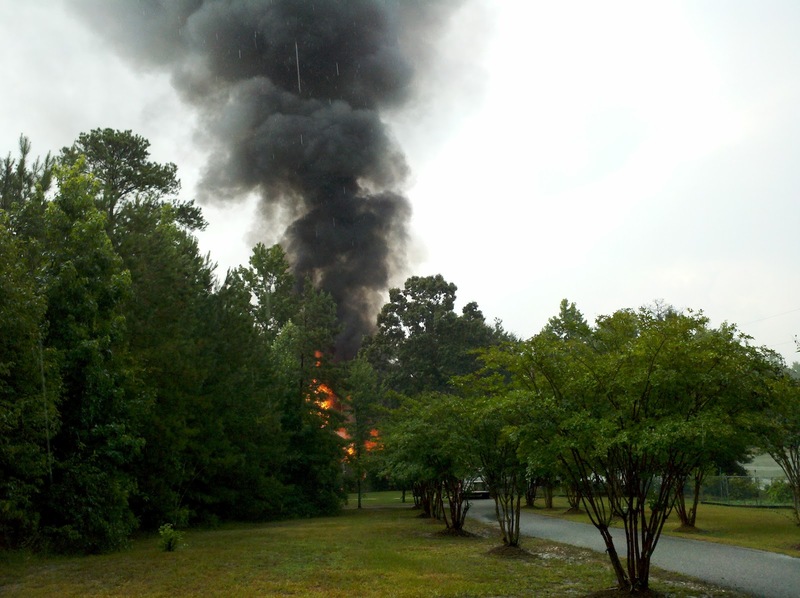 Decked out in firemen garb, they entered the home, blasting water at the growing fire. We backed away from the scene as Georgia-Lee cried and begged not to watch. Neighbors gathered, wanting to help but finding nothing could be done. We retreated to our porch, watching the scene unfold from a safer distance. In spite of the rain pouring down, the fire continued to burn. Power was restored a couple of hours later. We processed our jars of tomatoes (lots of effort for four measly jars). The dedicated team of volunteers continued to fight the fire, ensuring the flames did not go further from the home into the surrounding woods. The sweet couple across the street had not yet returned home. Just before dark, they arrived, having driven 200 miles from an anniversary get-away. Georgia-Lee declared at the end of our day that the canning website was correct – we would always remember canning tomatoes together as a family, but unfortunately we would also remember it as the fateful day our neighbors lost their home. For the rest of the evening, Ben murmured statements like "There's nothing permanent in this old world," as he shook his head, thinking what a loss, what a shame. We all were reminded that although we may try to can tomatoes, preserving the goodness of summer for a future time, we must remember to "Store up our treasures in Heaven," as the Bible says in Matthew 6:20. I know these words, and others from the Bible, will be a source of comfort for our neighbors, who as Christian people, lean on God during both the bad and good times. Earlier in the week, I left the family at home and headed to town for a night out with a couple of girlfriends, Amanda Wood and Angela Hall. 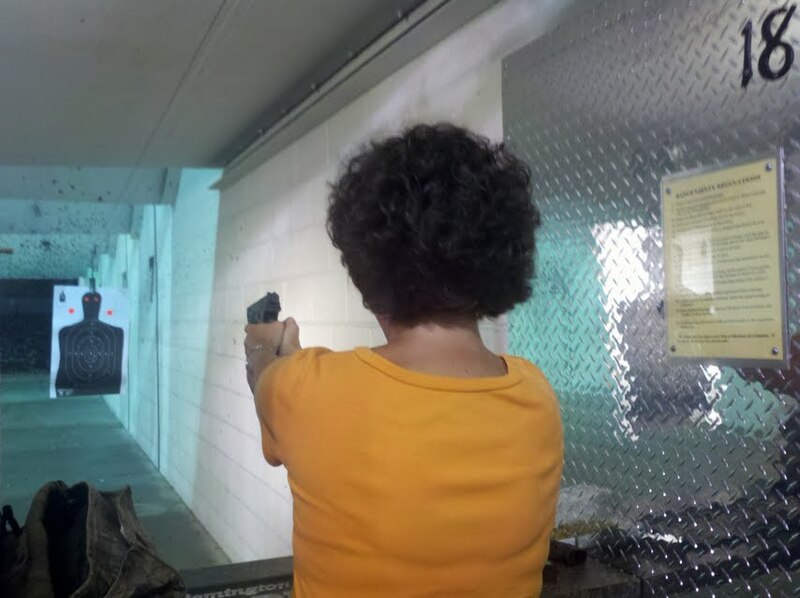 We met at Shooters of Columbus, a gun shop and indoor firing range. 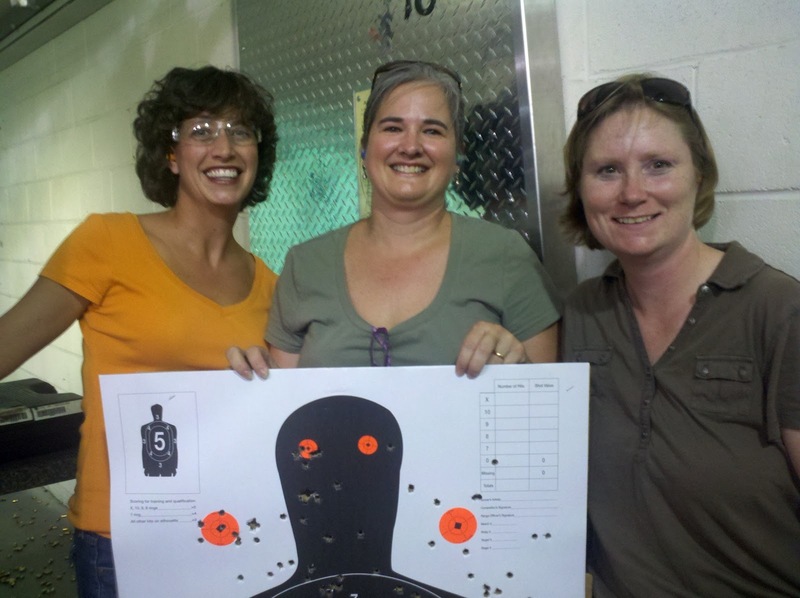 Monday nights are ladies' nights so range fees are FREE for the ladies! Taking out a little frustration! Ben LOVED the idea of me going shooting with the girls. He and Benjamin reviewed several valid points about gun safety and sent me on my way with my little .22 pistol and several rounds of ammunition. For well over an hour, the three of us took turns aiming at our targets. Eye and ear protection were required by Shooters and with 18 lanes of folks firing, the ear protection was much appreciated! We enjoyed shots at ladies night! After target practice, we visited and had dinner at El Carrizo. Angela quipped, "Shooting first, margaritas afterwards!" Fins up! 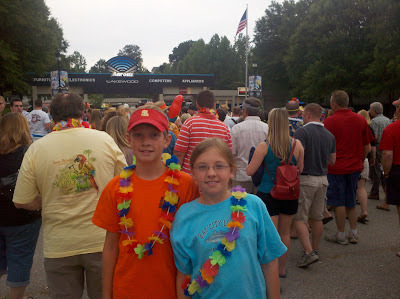 Two weekends ago, our Smith family headed up to Atlanta to see Jimmy Buffett! 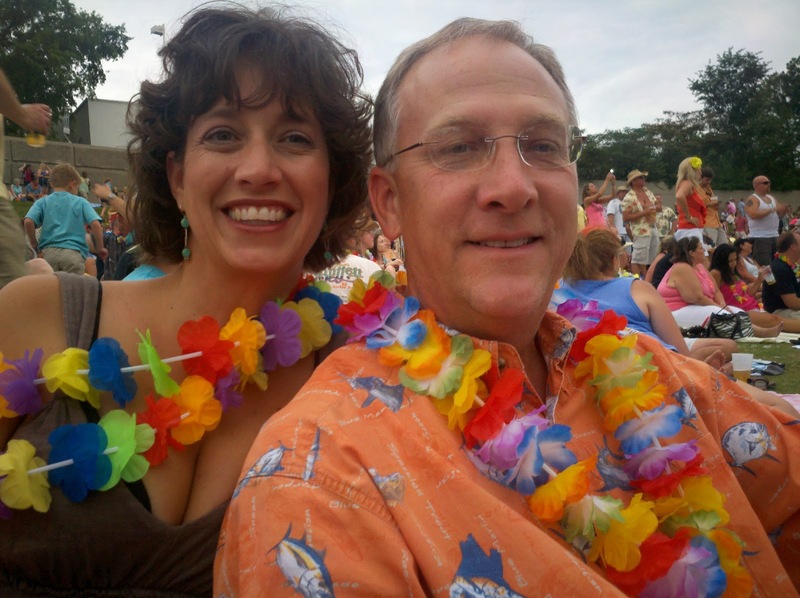 Since the very early days of our courtship, Ben and I listened to Jimmy Buffett. Such the romantic, Ben wooed me with songs like "Son of a Son of Sailor" as he sliced a juicy mango for me to taste. 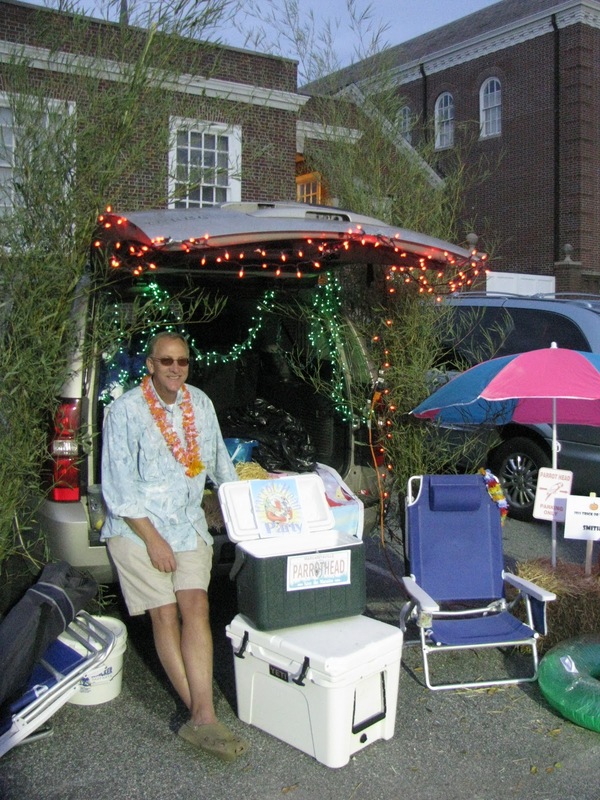 When he planned our honeymoon trip to the Florida Keys (with some help from Ron Woessner who traveled the Keys extensively), he played songs from Buffett's albums, including a number of nautical-themed songs from the album A-1-A. 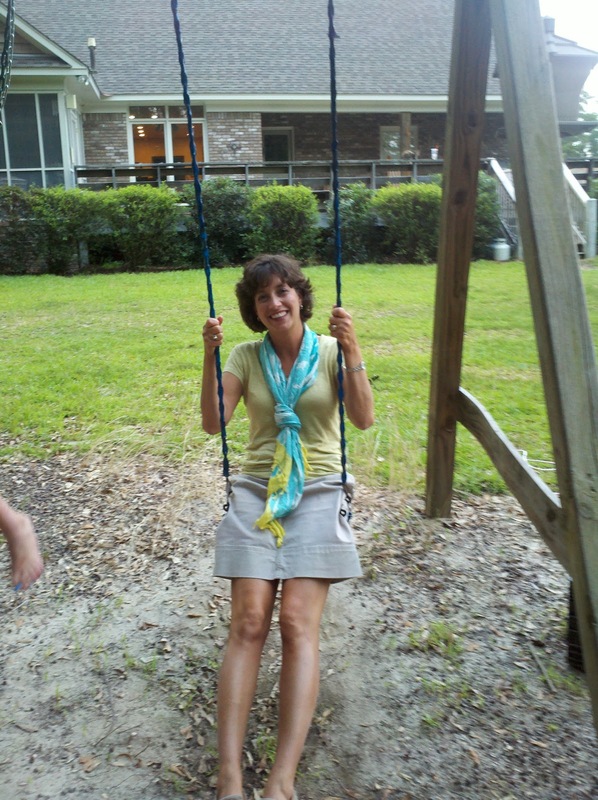 Throughout both of my pregnancies with Benjamin and Georgia-Lee, over the years when I am stressed, anytime that I long for a coastal get-away, and during many other occasions, I listen to Jimmy Buffett. The ONLY reason I pay for the XM/Sirius radio in my vehicle is so I can tune into Margaritaville! 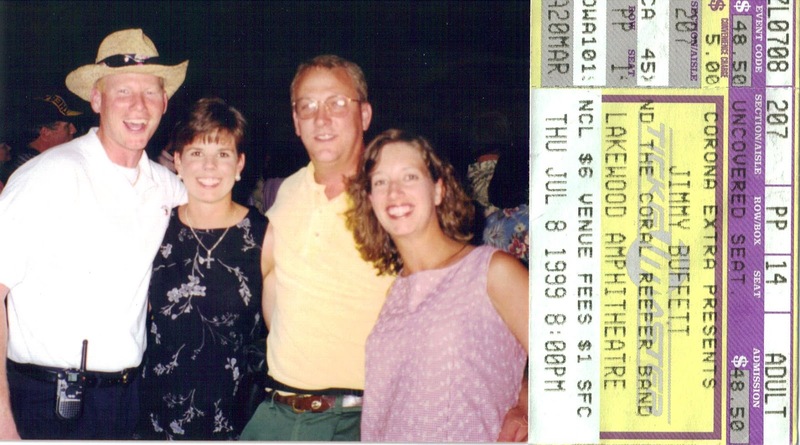 During the summer of 1999, sister-in-law Melissa Smith landed four tickets to Buffett's concert in Atlanta. 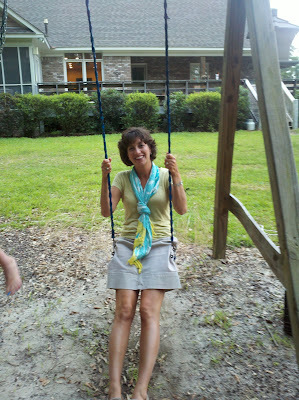 Ben and I joined her and Ken for a fun and memorable outing. Lakewood Amphitheater was HOT that July night (dry too!) as I was pregnant with Benjamin at the time. When Jimmy Buffett's Lounging at the Lagoon tour tickets went on sale back in April for the Atlanta show, I hastily logged into the computer as soon as the box office opened and somehow managed to get four tickets! Ben and I knew we had to take the kids to experience Buffett live! 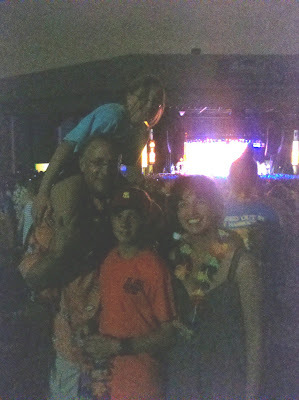 Jimmy Buffett and the Coral Reefer Band did not disappoint - they were fabulous! During our pre-show tailgate, Georgia-Lee commented that could not understand why so many people were there. She previously found that only a couple of her friends knew Jimmy Buffett and his music. Little did she know, there are millions of Parrotheads! As we left the show, the kids reflected on what a great time they had. Benjamin declared "we should get season tickets!" 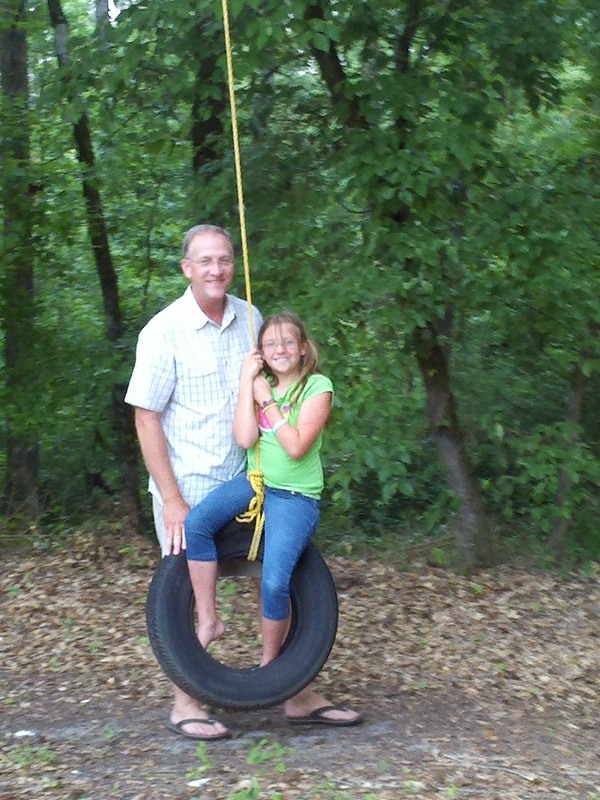 Taking a break from the tire swing. War Eagle! Go Dawgs! Hawk ‘em! The regular college football season is over and wraps up completely Monday night with the National Championship game between the Alabama Crimson Tide and LSU Tigers. I thought I would take the time to look back at our family's fall football season. 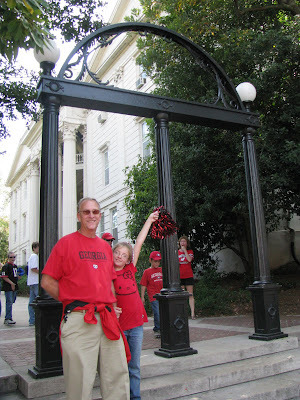 We cheered for our Auburn Tigers (my alma mater) and the Georgia Bulldogs (my hubby’s), as well the Huntingdon Hawks (my mom’s institute of learning). Fellow Girl Scout Junior Troop Leader Jamie Howard and I took our Girl Scout troop to the first Auburn football game of the season, designated as Scout Day at Auburn. Tickets were FREE! We tailgated before the event. Benjamin grilled yummy hot dogs for everyone to enjoy; he gained the nickname Grill Scout for his hard work and efforts! Girl Scouts love the Auburn Tigers! 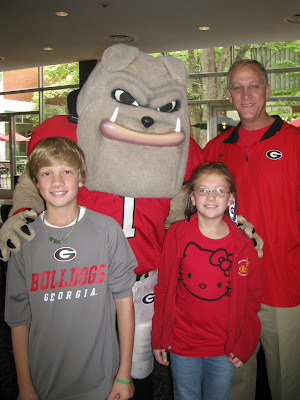 Later in September, we traveled to Athens, Georgia, to take the kids to their first UGA football game. The Bulldogs’ win allowed us the opportunity to ring the Chapel Bell, a beloved tradition for Georgia fans. 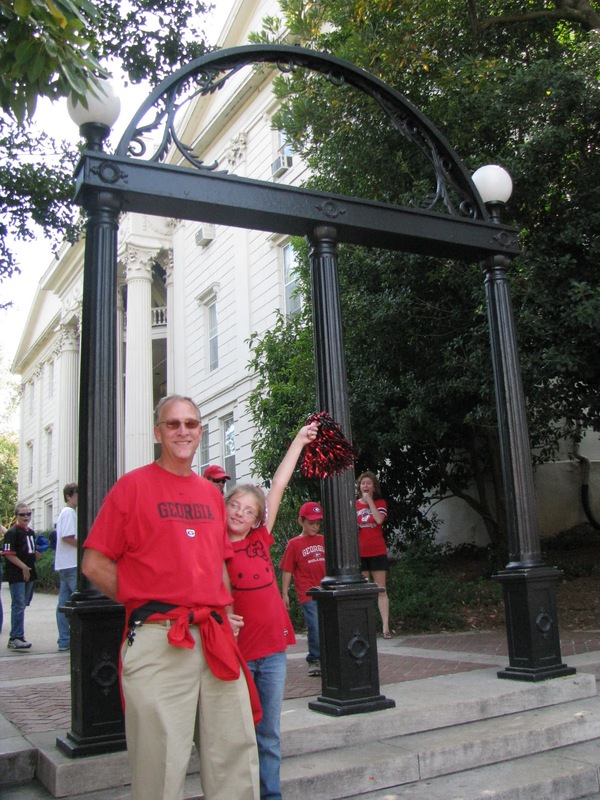 Georgia-Lee loved everything about Athens; Benjamin compared everything to Auburn. I came to appreciate the Bulldogs a bit more. 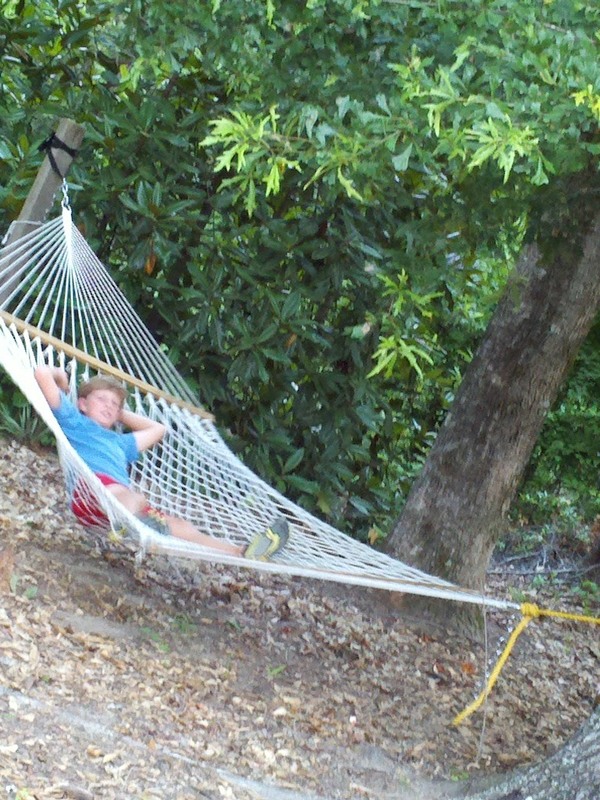 After all, Ben did graduate from the Warnell School of Forestry and Natural Resources! Huntingdon College versus Hampden-Sydney proved to be the hottest football game we attended combined with the prettiest tailgate. We met friends Dorothy and Matt McDaniel in Montgomery for a rivalry tailgate. Ann, Huntingdon graduate, and Matt, Hampden-Sydney alum, found common ground in food. There was quite a spread of delicious tailgate treats! Georgia-Lee thought Flowers Hall on Huntingdon's campus looked like a castle! 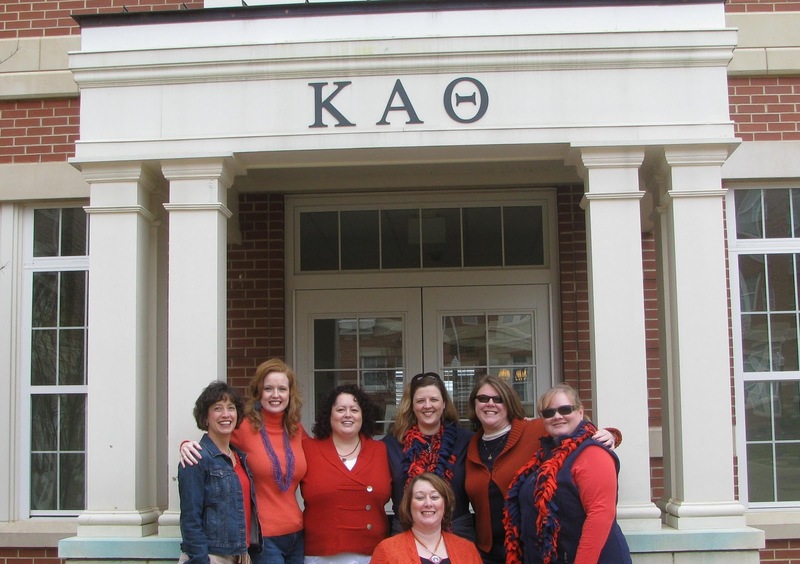 Later in the football season, we drove over to the Plains for the AU Homecoming game and festivities. 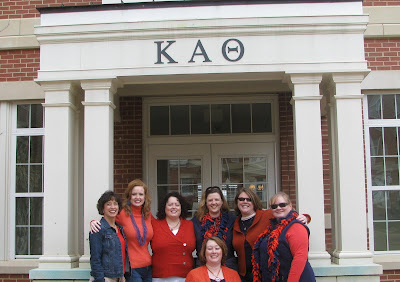 We visited the Kappa Alpha Theta chapter room for Homecoming Brunch with Theta sisters and fellow alums. 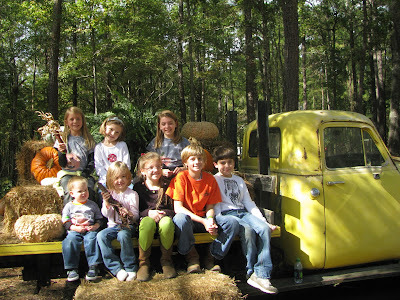 We ate lunch at the famous School of Forestry Homecoming Barbeque. After the game, we tailgated with friends Angela and Lester Holland and others. Angela and I met as two of only three girls in Auburn's School of Forestry summer practicum 1993; we've been friends ever since! Auburn School of Forestry Friends gather after the Auburn Homecoming game. ﻿In the South, October tends to be such a beautiful time of the year. Our weather is a little cooler, without being cold. Our typically green forests change to a lovely blend of autumnal shades. 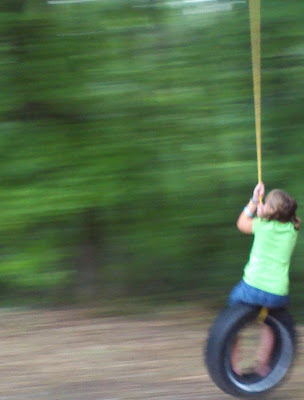 Our weekends are packed full of activities for family fun. During this season of harvest, I am reminded to thank God for all our blessings. What a way to begin the season of thanksgiving! Lots of kids stopped by our trick-or-trunk for candy at the Harvest Festival. Fellow Parrot Head parents wanted to sit and enjoy! 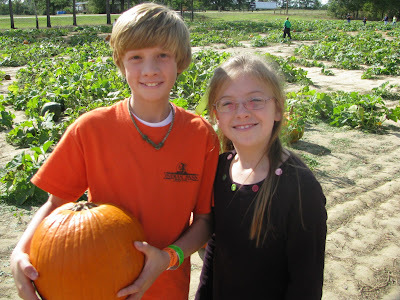 These two picked a pumpkin from the patch. I can't believe they agreed on the SAME pumpkin! 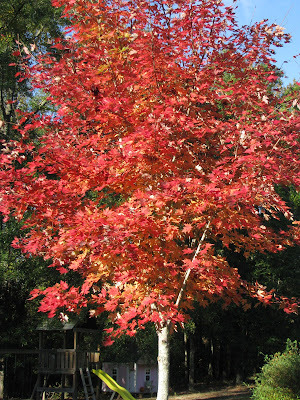 For maybe 5-7 days in the fall, our sugar maple is glorious in color. 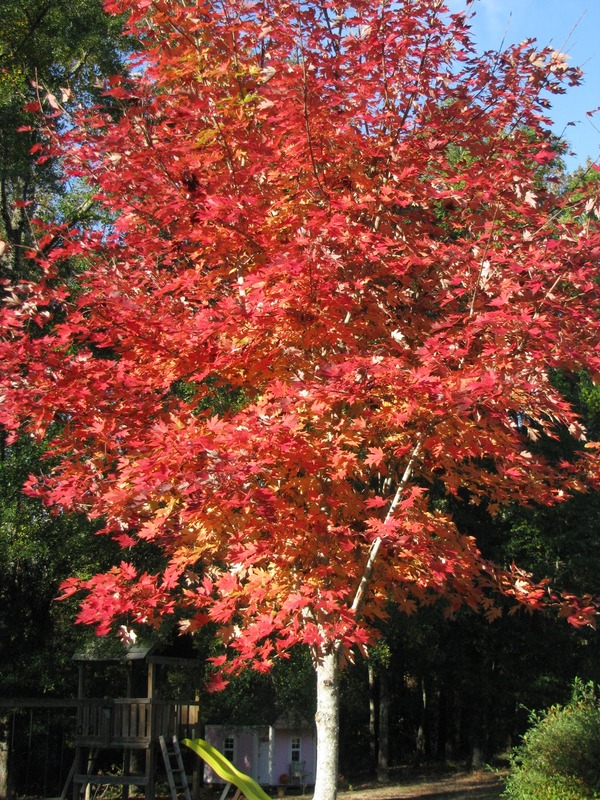 Since it was grown from a northern seed source but lives in the south, it changes colors quickly and then throws its leaves off, all in less than one week. We enjoy it while we can!